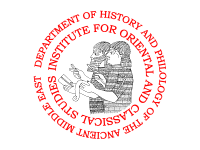 The Department of History and Philology of the Ancient Middle East was created on the basis of the scientific and didactic materials accumulated, over more than a decade, in the course of teaching process: since 1997, the faculty members of the Institute have taught the disciplines of the major “History and Philology of the Ancient Middle East” at the Institute for History and Philology. The major comprised three main areas of study: Mesopotamia; Syria-Palestine; Egypt. They cover three of the most important ancient civilizations of the Near East. This specialization can be seen as the first attempt in the history of a Russian higher-education institution to create a comprehensive educational program which includes teaching languages, history, literatures and cultures of the peoples of the ancient West Asia. After the major “Oriental and African studies” was opened and after The Department of History and Philology of the Ancient Middle East was created in 2002, it became possible to enroll students directly at the IOCS, where they could choose between the majors “Philology of ancient Mesopotamia” and “Philology of ancient Syria-Palestine.” New majors - “Arabic philology” and “Ethiopic and Arabic philology” - were opened in 2009-2010. The Master's program “Languages and Literatures of Ancient and Medieval Syria” started in 2012. The students of the Department are actively engaged in research activities, taking part in workshops, seminars and conferences. The friendly atmosphere of the Institute allows them to receive comprehensive consultations with the faculty of IOCS as well as with other Russian and foreign professionals in ancient Near East.